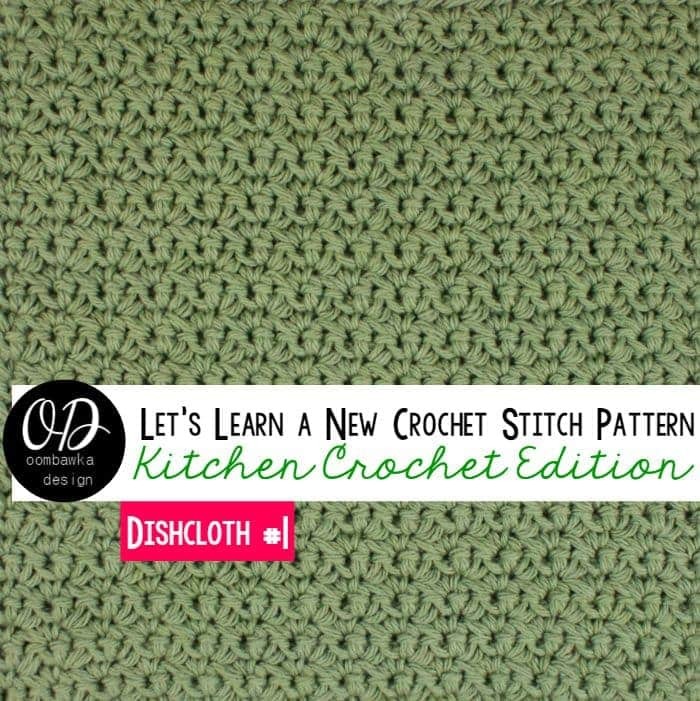 This week, for our first dishcloth I have chosen a very simple stitch pattern made up of single crochet stitches. 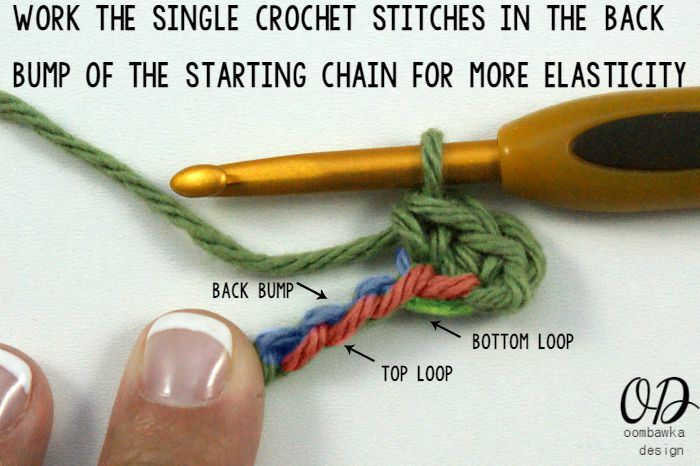 This pattern stitch is easy enough for beginners and very versatile. 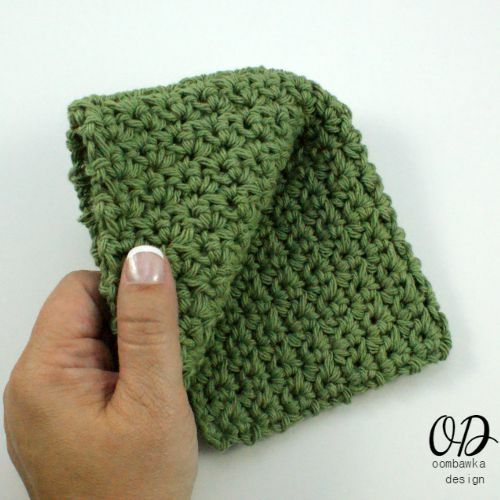 Great as a wash cloth or face cloth too! If you would like a 6-inch or 12-inch dishcloth, please scroll to the end of the post. I have included the instructions for these sizes as well! 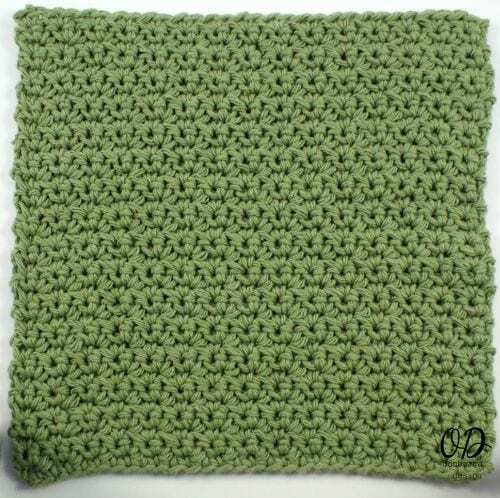 The pattern below is written for a nine inch square dishcloth. 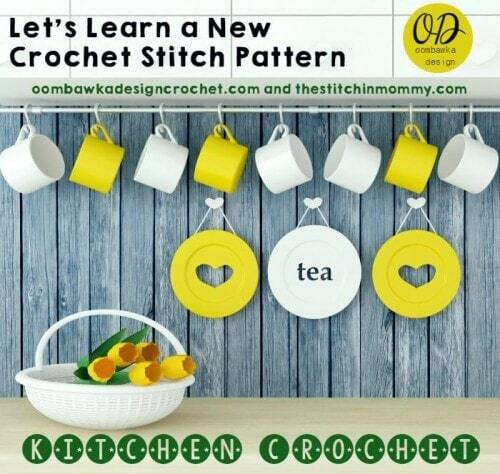 Starting this Thursday we will have a new theme for our Thursday Let’s Learn a New Crochet Stitch Event. We will be focusing on Kitchen Crochet! 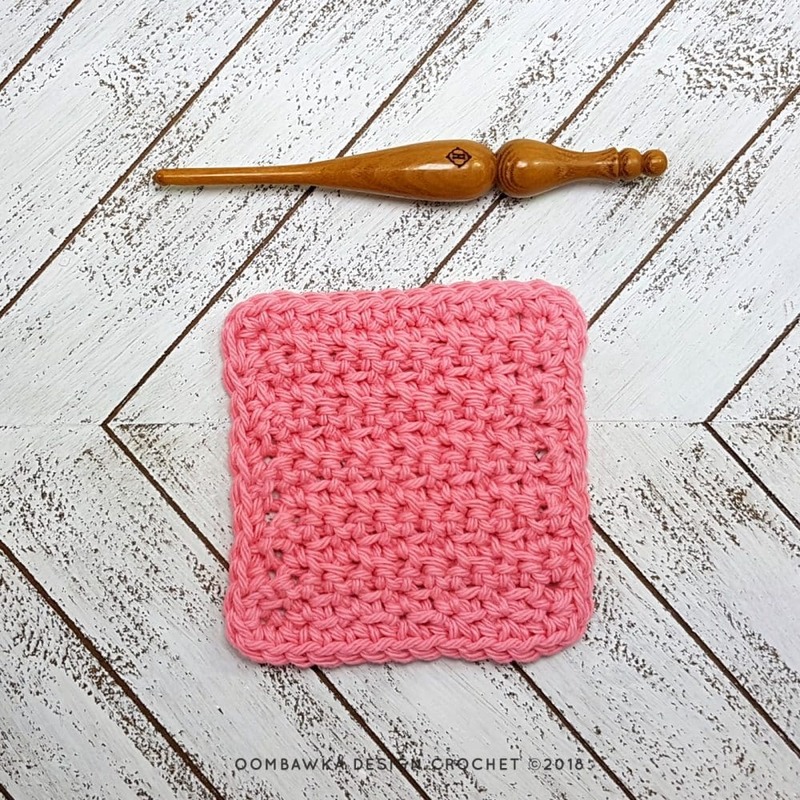 Expect to see dishcloths and other kitchen crochet items which are handy to use, great for gift giving and quick and easy projects for you to make! Hook: 5.0 mm (H). 4 inch by 4 inch uses a 5 mm (H) Orange Osage Hook. At the end of the post instructions are included for 4 inch by 4 inch, 6 inch by 6 inch and 12 inch by 12 inch. R3-R33: Rep R2, finish off using an invisible join and weave in ends. …sc in second chain from the hook and in each remaining chain; chain 1, turn. R3-R33: Rep R2, finish off and weave in ends. R3-R43: Rep R2, finish off and weave in ends. R3-R22: Rep R2, finish off and weave in ends. R3-R12: Rep R2, finish off and weave in ends. 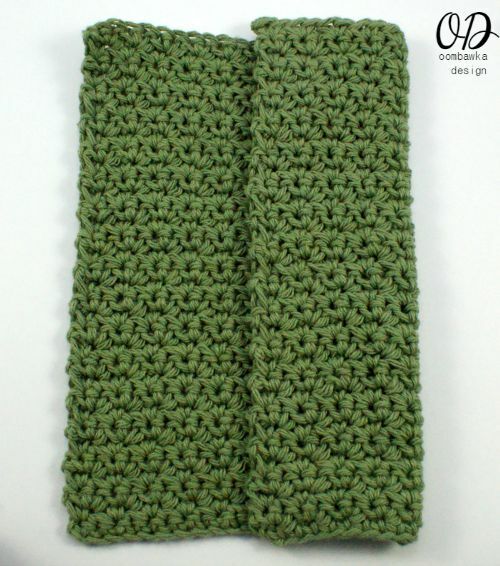 Hi, I am new to crochet & I have one question. On r2, (RS) Sk first st, What does RS mean?? I love this pattern. I have made dishcloths for friends for many years they are always enjoyed. this will be a new pattern to share with them. thank you. Thank you ! Have fun making it! 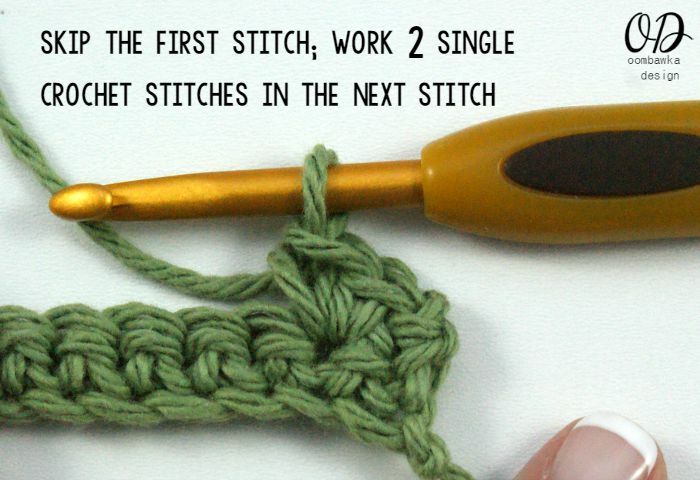 I love the learn a new stitch series. I have made the dishcloth and I enlarged it to a dishtowel size. Thank you for the wonderful Kitchen patterns.